There are 100 walking gems from across the country in this collection. With inspiration for a wide range of walking experience and abilities, whether for those new to country walking or seasoned ramblers. It includes easy-paced short walks, half-day rambles, and more energetic and challenging full-day excursions for a total of 625 miles (over 1,000km) of richly rewarding routes. Walks are split by region, so you can easily explore the best an area has to offer. Each walk includes the difficulty, approximate time taken, distance, height gain, terrain, parking and map sheet reference. You will also find an extract of the waypoint marked map for the route. 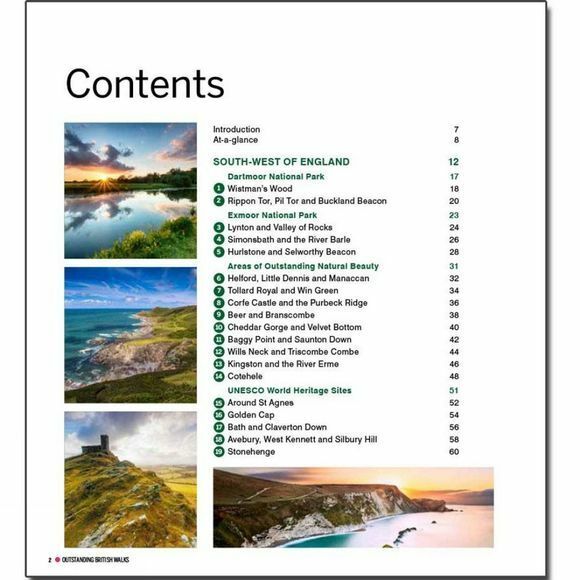 In addition, all the routes can also be found in OS Maps online, allowing you to follow them on your mobile device or print a copy of the map to take with you. As well as details of the routes, you will also find compelling background information of each of the regions, along with beautiful photography. 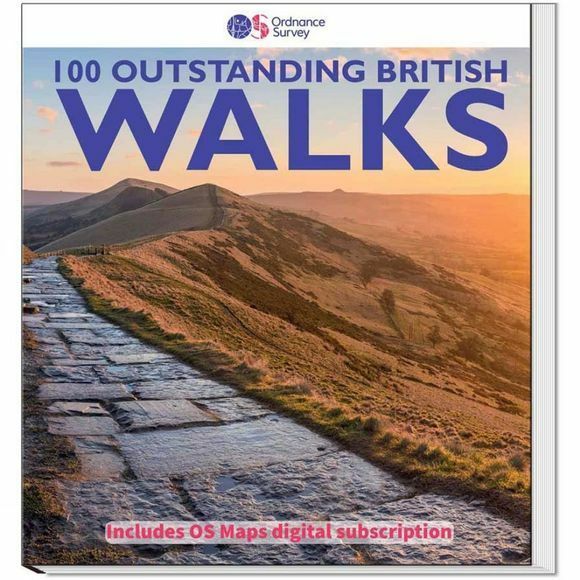 This book includes six months OS Maps Premium, giving access to printable detailed mapping for all the routes shown in this book, plus all the OS Explorer and OS Landranger maps for the entire country. You can also use it to find thousands of other routes created by other walkers or even plan your own. You can activate this by using the unique code printed inside the back cover of the book - look for the instructions on the inside flap.